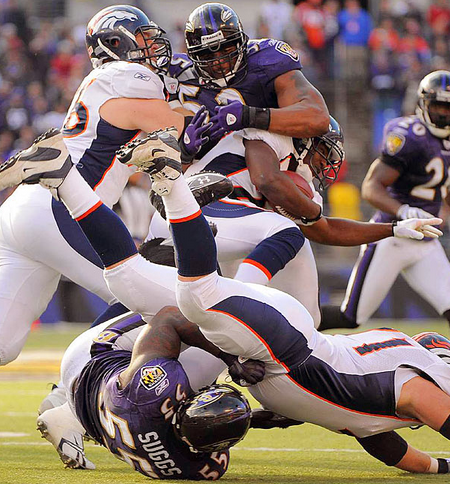 Sometimes gaining and losing are more intimately related than we like to think. And some things cannot be moved or owned. Some light does not make it all the way through the atmosphere, but scatters. I have a simple job. I’m a teacher. Yes, believe it or not. It’s simple. Very. That’s right. To Teach: to show or point out; to present or offer a view. To show what? Point out what? Present and offer what? We can lose something, even painfully so, and gain by it too – a terrible beauty is born, writes Yeats in Easter 1916. And when light scatters about – but particles – it’s very difficult to find the meaning in the loss that will release us from the guilt of gaining. Too long a sacrifice/Can make a stone of the heart./O When may it suffice? wonders Yeats. Indeed. Most times the heart is the student’s a teacher aims for – compassion, empathy, understanding and, most of all, full spectrum realization. And yet other times it’s my own that I’m reaching for trying to connect my heart to the student’s. Appearance: the action of coming forward into view or becoming visible (c.1400-1869); the action of coming before the world or the public in any character (c 1671-1880); that which appears without material; a phantom or apparition (c. 1488-1834); money paid to a (leading) sportsman or sportswoman for participating in an event (1977-1981). The privileged place of Appearance makes any straightforward attempt to reach for the heart a challenge because the mere materialization of social power, which has assumed a social character and makes individuals dependent on it, transforms, into real beings, images, figments and behavior. Illusion becomes the norm, how we experience the world – and each other. No truth evident here. Nothing is real. Instantly, teaching becomes difficult; it becomes complex, challenging, strange given that material reality is wedged between the student’s heart and the teacher’s. Reciprocity, which is essential for happiness, is lost and hostility takes over since it is the prodigal child of aggressive self-interest. Self-interest is the sole arbiter of success and value in the academy that feeds the culture: the professor that thinks his is the only course students take, so students are overworked, mindlessly responding to carefully orchestrated questions meant to solicit a single answer or two – busy work; the student that believes she merely has to get through, not worried about learning, rather about finishing, while reaching for the next rung that will get her ever closer to the penthouse at the helm of the economic system. A conveyor belt that privileges a move away from the heart and towards material reality. Materialism and self-interest go hand-in-hand; all else, including people, must be shunned – and there goes reciprocity. Thus we find ourselves lost, floating in an open sea of confusion, living lives on the boundaries of meaning, never quite getting there, never quite getting at truths, comfortable numbing our haze. Welcome to the Aderrall Generation. In Living the Adderall Generation: Part 2, Fink tells us that, “While most students the Campus talked to began their psychostimulant usage at the College, [Dean of the College] Collado pointed to a new wave of applicants who are being stimulated and pushed to their maximum from young ages,” suggesting that this is a larger problem in the culture; however, since many – if not most – of the students attending elite, competitive schools such as Middlebury are from the upper socio-economic strata of society, this might suggest that the early pressure is manufactured by the need to locate the student in an appropriate – and socially mobile – rung in a vituperative economic system. This also suggests that the focus of learning is not the student – and not learning at all – rather it’s where the student might end up, socio-economically, years down the road; part of this pressure comes from the realization that, as systems go, ours is fighting for a dwindling piece of the resource pie. Not healthy. Where we now also see this unhealthy pursuit of unhappiness is in the current light being shed on sexual assault on college campuses. Naturally – and reasonably – these discussions are focused on the safety of victims while also urging others, who remain silent, to come forth; the purpose being to get accurate data about how pervasive this condition is. We want to help victims, educate, and change the climate of violence and fear. But it’s not surprising, given our aggressive self-interest, that these violent, tragic occurrences happen when drugs and alcohol are in the mix. It’s not surprising that this violence happens in a culture where violence is privileged at every step – in the media, in politics, in economics, you name it. So, at a time in one’s life when self-discovery should be one’s focus, self-interest and the need to ride the conveyor belt towards increasingly better social mobility take precedence; psychostimulants and alcohol, sometimes taken together, become ways of getting through the system and coping mechanisms. Aristotle on happiness doesn’t seem to cut it; Shakespeare, for get about it. The text is gone; pharmaceuticals are in. It’s not about knowing and learning; it’s about doing and moving on, always transitioning upward to an elusive reward. Amidst all this is a very large and critical dialog occurring on campuses across the US about, specifically, the cost of higher education and, in the case of many elite colleges and universities, the viability of a liberal arts education (http://www.nytimes.com/2013/06/19/arts/humanities-committee-sounds-an-alarm.html;https://chronicle.com/article/The-Humanities-Declining-Not/140093/; http://opinionator.blogs.nytimes.com/2013/11/30/the-real-humanities-crisis/;http://www.theatlantic.com/education/archive/2013/12/the-real-reason-the-humanities-are-in-crisis/282441/). Everything from an over emphasis on science education to the humanities moving away from a search for the self and into race, class, gender and semiotics, cartoons and television, plastic surgery, to the humanities being just boring and with little relevance have been used to blame the apparent decline – and if not decline, then lack of interest. How ironic, no? Do we really know what’s going on? If you read any of the above articles linked for you, there is a theme: we don’t know what’s going on; we have less of an idea about who our students are; and we may even know less, with our PhD’s, about the world we live in and that’s constructing our students, our lives. We educators have a hand in this. Dante is not cutting it. Socrates is not cutting it. Academic language, with its uptight vernacular of disdain, is cutting it even less. Pharmaceuticals and violence, sports, the palatial grandeur of an institution’s geography, food, and who knows who is seemingly more important. Today, I’m less a professor and more a concierge helping students navigate the nebulous halls of an academy that, like the world we live in, appears lost in confusion. Management is more important than learning about one’s self; systems of efficiency clearly dominate; technology, connectivity – always on – and surface communication and production de riguer. Humanity, talked about all the time, is less important. Matters of the heart? What’s that? I’m always asked. We humanists, in our zeal to make even the most obvious complex, may be a large reason why students, who already come from a system that overvalues performance and results over knowledge of the self and others, find themselves, at some point, wondering what has become of them. It may be why I continue to receive emails from alumni wondering about the critical questions in life: why, how, who, what for? These weren’t even mildly approached during their very expensive undergraduate lives. Humanity today is like a waking dreamer, caught between the fantasies of sleep and the chaos of the real world. The mind seeks but cannot find the precise place and hour. We have created a Star Wars civilization, with Stone Age emotions, medieval institutions, and god-like technology. We thrash about. We are terribly confused by the mere fact of our existence, and a danger to ourselves and to the rest of life. Our students thrash about because we do; students are terribly confused because we are; we are all a danger to ourselves. And, as far as I am concerned – in one humble opinion – we dutifully adhere to the most medieval institution, the University, without realizing that, before our eyes, it has metamorphosed into an exotic multinational business like any other – and students are our last concern. We are in a dreamlike state. These are the saddest times. The Black Atlantic explores the earliest Africans, both slave and free, who arrived in the New World. Through stories of individuals caught in the transatlantic slave trade, we trace the emergence of plantation slavery in the American South. The episode also looks at what that Era of Revolutions — American, French and Haitian — would mean for African Americans and for slavery in America. Boston changed everything. Boston brought me back to our interconnectedness, a notion or theme linking all my classes this term, a Writing Workshop and Social Class and the Environment. So that’s what I want to talk about. Interconnectedness. 1. 3PM – 4PM, Monday, April 15: I was in a delectable bubble, sitting in my warm, safe and bright college office with a student, engaged in an incredible conversation about social justice, environmentalism, writing and creativity, a healthier future we imagined conceivable. 2. 4:10PM: I learned about Boston — the ugly violence, the havoc and instant suffering, the confusion that turned into a tremendous weight — and disbelief. 3. 5:30PM: On the ride home from school, I learned of the cowardly defeat of the gun bill. A heavier darkness set in. The NRA and Washington cowards intent on keeping power, not saving lives, are more powerful then the voices of American citizens. Washington exists outside our American lives. 4. April 17, two days later: The news of the poison letters sent to Senator Roger Wicker (R-Miss) and President Obama. And the darkness reigned supreme, a suffocating feeling. The winter winds have begun to change in Vermont. Indifferent clouds race across the skies, the air is lighter — you can smell it — the temperature rising ever so slowly, as it does this time of year. Hints of sun remind us that it’s still there laboring to find its way back to us — finally. Something other then death, destruction and callous indifference has to come our way. 5. April 19, Friday: When one suspect is dead and CNN works to fit into every aspect of the unfolding manhunt, a tropical wind is screaming across Vermont. My chickens had a hard time getting across paddocks, pushing against it, literally going airborne and tumbling when the gusts were incredibly harsh. It all felt surreal, confusing. At some point that night, maybe around 11PM, I learned that Dzhokhar Tsarnaev, the second Boston marathon bombing suspect, was apprehended. During the depressing malay, the chants of Boston Strong, the Red Sox game and Neil Diamond, my brain turned to a movie, The Siege, directed by Edward Zwick. This film is about a fictional situation in which terrorist cells make several attacks in New York City. Despite objections, the US President declares marshal law and the US Army’s 101st Airborne Division, under Major General William Devereaux (Bruce Willis), occupies and seals off Brooklyn. People of Arab descent are rounded up and detained in Yankee Stadium. New Yorkers stage violent demonstrations against the army and the racial profiling of the Arabs and the Army fights to maintain control. The Siege, again, a fictional account — I’m compelled to repeat this, just to pinch myself — is not the Boston lock down, but it gave me pause. Is this what we’re facing, our future? Surveillance. Tighter controls, literally and virtually. A military-like presence in our cities. Fiction has been turned into our lives. Regardless of the ethnicity of the Tsarnaev brothers, they grew up in the United States. In the West, many fundamentalist radicals intent on following terrorist actions are being bred in our communities. Tamerlan and Dzhokhar Tsarnaev, whatever they did to get to that tragic day that colored the Boston marathon with such harshness, had friends in the community. They had family, went to schools like everyone else’s — even excelled. They went to work, too. In other words, they lead American lives in an American community. They were, at one point, normal, as we like to say. In an interconnected world, everything is possible. Welcome. This is our world now. Where do we go from here, knowing what we now know? I’m a father of 4. I’m a husband. A son. A brother. And I’m a teacher. This Sunday, April 21, my mind is on the Middlebury Women’s Tennis Team: they took the trek to Tufts, in Boston, yesterday, Saturday, because the original trip, a long weekend of matches, first against MIT, then Tufts, was put on hold by the Tsarnaev brothers. Everyone was on tenter hooks. With some anxiety, these beautiful, wanting kids took the trip to Boston. They went to do something they love; they went to meet their responsibilities. That’s what we’re called to do. I know they’re safe, but I can’t help thinking of them because they’re young, like my children. Hell, they are my children — they’re all our children. They’re young and innocent working so hard that it sometimes brings me to tears to watch them grapple with our difficult world. Sometimes we cry together. I feel totally guilty for the world my generation is leaving behind. It’s a world where neighbors can’t trust neighbors; where important people in important positions, graduates of our most elite institutions, can’t be trusted at all. This is the world we’ve given them, the tomorrows colored by a siege scenario. Unacceptable. All I can say to them, my students, is I love you. I have nothing else, nothing left. How else can you teach any kid anything today? Love and Health are the only curriculum. What we pass along as knowledge and information makes no sense — not to them, not to us. The material I teach, I find almost irrelevant. In the face of Boston — and the Bostons to come — I’m driven to my knees. I’m sorry, yes, I can say that only to them. I know that now. I love you is what I must say to them and show them, let them know that in their time with me, they’ve been loved, unconditionally; that this is love in this heartless universe — so harsh. We’ve become so harsh and reproachful. 6. April 21, about 1:40: the girls are on the courts at Tufts. Brazilian Girls: Some people want to burn the world with their greed. We just want to have a good time, all the time. Feeling so alone, I took to cooking. And somewhere between the chili con carne and the lamb (White Dorper, our own) with lentils, and Bonnie Raitt, Used to Rule the World began to lift the veil of darkness. I began to see, slowly, a bit. Brother lovejoy. Yeah, Raitt’s raspy voice, that guitar — she touched my soul, showed me the way, aching. With her cover of Right Down the Line — You know that I need your love, you got that hold on me — I had 3 dishes going simultaneously — the lamb, the chili and a kale and potato soup. And I was moving to Raitt. She was moving me towards light. Lucidity. The agony of lucidity. Academics who act as ambassadors of the oppressed are no substitute for enduring arrangements that might enable the oppressed to explain themselves and pursue their own interests as they wish … When humanists claim to set aside crude, worldly, practical concerns for the sake of purely ‘philosophical’ inquiry, they actually fall prey to the optical illusion of a pure thinker somehow separate from the world. (Arts of Living: Reinventing the Humanities for the Twenty-first Century, Kurt Spellmeyer, 2003). I blame myself for the world we have. Us professors, in our elite institutions, have presumed a position that is an illusion: the world is out there, we are somehow living in loftier terrain separate from the world. We have separated people; we have separated ourselves from feeling the world. This false position has created the world we’re in. We’ve failed to describe a world that Don DeLillo gives us in Underworld (1997) where everything is interconnected: the guy making toothpaste and light bulbs is also making nuclear warheads. How do we tell the good from the bad? asks DeLillo. Our way of life has consequences. Our leisure, our comforts — and discomforts — come at a price; we can’t have what we have unless someone pays. 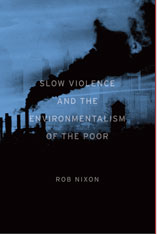 This is what Rob Nixon calls slow violence (Slow Violence and the Environmentalism of the Poor; 2011). Struggles for existence, for human rights, are extraordinarily symbolic — as well as physical (banking; military) and intellectual (ideologies; academia). Thus, the overwhelming force of the West has created cultures of doubt coupled to systems burdened by national debt. It’s not a stretch to imagine the rise of terrorism from here. Now it’s come home; it comes from us. If we are to enter into this age with meaning — to try to understand our complicity, first, then find a way through — the agony of lucidity must be central, and it begins by recognizing that everything is interconnected, as DeLillo would say; that what happened in Boston is not because of some foreign force, rather it’s, in part, due to our own force, our own blindness in our uses of force, the cataclysmic development of structural violence worldwide. It’s not a hospitable way to begin this piece and draw your attention, but I just had to say it . I told you so. Here we are again, debating tax reform, taxation of the rich and entitlements. Mitch McConnell is still obstructing by any means necessary. Paul Ryan is still showing his colors, suggesting that they lost the election because “too many Blacks voted.” Too many? And Mitt Romney, acutely blind to what happened, before, during and now after the election, insists, speaking to the LA Times, that Obama won the election because he gave Big Gifts to Latinos and Blacks. The rest of us, meanwhile, exhausted, are looking optimistically for a compromise. Sound familiar? Have we been here before? In Obama we’ve chosen a kind of struggle that will work only be degrees, slowly, gradually — yet not alter the state of affairs at all. Romney wanted to drastically change everything and place a perverse oligarchy at the helm. With Obama, we’ll fix a tire here, a spark plug there, a belt, a carburetor — but the fact that the system is fundamentally flawed is not going to be addressed. Remember: I told you so. And I’m telling you now. Vero Beach is the American Paradox: the extraordinary cost of creating and maintaining such lavishness and the economic drain of a lifestyle that is characterized by total mechanization, as the pudgy elderly try to stave off the inevitable by walking and biking, their lives well kept by Latinos and some, very few, African Americans usually found behind counters at Publix markets, gas stations and sanitation trucks. The divide is the evolution of manifest destiny that has assumed a contemporary look and feel. We can hear Karl Rove’s grandiosity; we can also see the denial of the changing face of the American electorate: younger, bolder, Latino, women, the LGBT community, and African Americans that are now looking for Obama, their president, to address their ills in more concrete ways then he did his first go ’round. Privilege is indeed blinding. The GOP never saw it coming. But things have changed. And we have to help things change even further. Robert Wolf, Obama’s top Wall Street ally, says that the rich can tolerate tax hikes. As reported by Andrew Rosenthal, in The New York Times, Bill Kristol, the stalwart conservative of the Weekly Standard, has endorsed raising taxes. So immediately following the election — and the devastation from Sandy that brought so many together in a dramatic tableau of self-reliance — we have reason to, well, hope for change. But don’t get carried away. As Chris Hedges tells us in Empire of Illusion, our best and the brightest are educated, by our elite instutions, to be mechanics, not change agents — fix this or that, never changing the system; the status quo is accepted. It’s how we roll in America — and why we’re fat, too. What do we have wrong? What do we have to change? For me, this can only be done through education, a creative struggle with ideas, difficult ideas, challenging ideas that are, if they’re to be effective, questioning the status quo and offering alternatives. We need to work to transgress. We have to re-examine what we mean by “progress” and, likewise, we have to conflate our sense of it with what we “value”; in the journey, we have to look back and try to also define “virtue” and “virtuous action,” the keys to any foundation that is looking to move to new and better ways of living. These are the road to happiness. So let’s turn to our socioeconomic challenges, first, since these are on everyone’s mind. 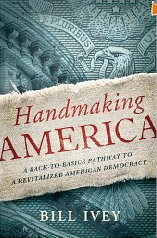 Please run to your local bookstore and, whether you’re on the right or the left or somewhere in-between, pick up a copy of Bill Ivey’s Handmaking America: A Back-to-Basics Pathway to a Revitalized American Democracy. Read it. Then let’s have an educated discussion about who we want to be. Americans have been converted; we’ve internalized market values. We experience consuming as a liberating activity, strong enough to at times present the illusion of social rebellion. ‘Freedom’ is no longer a condition defined by the absence of debt and envy. Instead, modern-day advertising has transformed freedom into a central tenet of consumerist ideology. We got to this place because we’ve been blind to the idiocy of growth, the notion that if we just expand, buy more, create more stuff, we’ll somehow buy our way out of our socioeconomic woes. In this world the Corporation is viewed as a positive “fixture of America’s democracy,” says Ivey. It happened gradually, but we accept the Corporate Ideological Apparatus and its insistence on the illusion of growth. Look around: the earth’s resources are dwindling; we are being lead to believe that because we’ll be drilling our own fossil fuels, becoming less reliant on the Middle East for production, we’ll be better off. But here’s another I told you so: if you think that somehow this is going to change anything — price at the pump, price of heating oil, nurse the environment — you’re dreaming because, in the end, whether we drill, baby, here or there, this fossil resource is dwindling, too. It’s scarce any way we cut it. The costs, I tell you, will be higher. Watch. One is political: growth, at least as we now create it, is producing more inequality than prosperity, more insecurity than progress. This is both the most common and the least fundamental objection to our present economy … By contrast, the second argument draws on physics and chemistry as much as on economics; it is the basic projection that we do not have the energy needed to keep the magic going, and can we deal with the pollution it creates? The third argument is both less obvious and even more basic: growth is no longer making us happy. These three objections mesh with each other in important ways; taken together, they suggest that we’ll no longer be able to act wisely, either in our individual lives or in public life, simply by asking which choice will produce More. I dare say that this is, in fact, true, particularly if we go back and look at what I said, above, and examine the relationships between “progress,””value,” and “virtuous action” and Happiness. In this exercise, it’s incumbent upon us, as civilized humans, to examine Happiness for all, not just for the few. How can we work to create environments of Happiness, which could, in turn, be very different for different people? …we can recognize that the structural violence embodied by a neoliberal order of austerity measures, structural adjustment, rampant deregulation, corporate megamergers, and a widening gulf between rich and poor is a form of covert violence in its own right that is often a catalyst for more recognizably overt violence…[an] insistence that the systematic burdens of national debt to the IMF and World Bank borne by many so-called developing nations constitute a major impediment to environmental sustainability…To talk about violence, then, is to engage directly with our contemporary politics of speed. 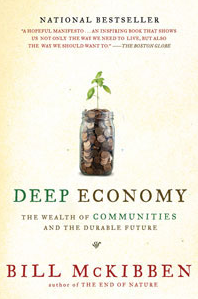 If we then conflate our “contemporary politics of speed” with the illusion of growth, we have our perfect storm, our current state of affairs that, following Ivey, McKibben, and now Nixon, create vast disparities between us, exciting an air of negative competition that seeks to outdo someone else — the Other — for my selfish benefit only. But, finally, there is an answer — missed by the GOP during the election, noticed by the Obama campaign, but, yet, it’s still living in a kind of fog, just out there at our fingertips, waiting to be noticed and appreciated for its, yes, mathematical accuracy: DIVERSITY. Not growth, but diversity will give us the future. Diversity is a property of a collection of people — a basket with many kinds of fruit. 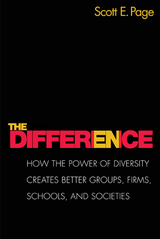 Diversity and ability to complement one another: the better the individual fruits, the better the fruit basket, and the better the other fruit, the better the apple … We should encourage people to think differently. Markets create incentives to be different as well as to be able, but perhaps not to the appropriate level. We have to do more. Page goes on to prove his thesis mathematically and logically; it’s undeniable — except to the GOP that lead Romney to defeat and continues to deny the very real diversity evident in our election results. Notice, too, that critical interdisciplinary work is an essential component that will excite market-driven diversity, since we’ll need people who are not necessarily smarter then you and me, but rather, people who actually can address a problem by thinking differently. Mathematically, Page shows us that a group of diverse thinkers in a room can actually solve problems more efficiently, faster and more creatively. The challenge for politics, for instance, is that the same people are always in the room: corporate spokespersons parading as senators and congress people; we impose, on the poor, for instance, how they should live, rather then asking them, at the seminar table, what solutions they see; we impose on teachers standardization, across the board, without asking teachers to contribute to their profession; and, likewise, we impose, then, structural imperatives on students without asking students how they learn, how they go to school, what challenges they face in this community or that community. In other words, the challenge today is far more complex — and subtle; it’s about understanding our diversity, acknowledging that what we may be doing in the name of growth isn’t better — and it hurts many, many people. I think the economic logic behind dumping a load of toxic waste in the lowest-wage country impeccable and we should face up to that … I’ve always thought that countries in Africa are vastly under polluted; their air quality is probably vastly inefficiently low compared to Los Angeles … Just between you and me, shouldn’t the World Bank be encouraging more migration of the dirty industries to the Least Developed Countries? Don’t be shocked by this, not if you’ve read Empire of Illusion. Summers served as the 71st US Secretary of the Treasury, from 1999-2001, under Bill Clinton; he was Director of the White House US National Economic Council for President Barack Obama; he is the Charles W. Eliot University Professor at Harvard University’s Kennedy School of Government; and, he’s the recipient of the John Bates Clark Medal for his work in several fields of economics. Summers also served as the 27th President of Harvard University from 2001 to 2006 (he resigned after a vote of “no-confidence.”) And he received his S.B. from MIT in 1975 and his PhD, from Harvard, in 1982. I mention all this, even though I link to it, because, if you’re reading this and got this this point, you have to ask yourself: What are we breeding in our institutions? And, how is it that thinking like Summers’ lands a man a job at the right had of the President of the USA, in this case, two Democratic Presidents? See, I told you so. How do you want to live? How well are we doing in our pursuit of Happiness? Many times during last night’s second presidential debate, from Hempstead, Long Island, NY, I found myself laughing. I realized that I’d seen this before — been there, done that. When some guy would come up to me and say something I didn’t like, blow up his chest, push up against me, there we went, bare knuckled, toe-to-toe. These testosterone years traveled foggy memories last night. Whether at the schoolyard or the athletic field, boys are asked to never back down, push up against someone else and have it out. This was last night’s second debate. Short on substance, long on cockfighting, and the American public is still left wondering what the next four years will look like. Last night’s debate reminded me of West Side Story. Romney’s Jet persona trying to counter Obama’s Shark attack. Romney spent his 90 minutes in campaign slogan- land, sound bites reminiscent of graffiti on a wall. No substance, just smoke and mirrors. Romney is vulnerable on foreign policy, education and health care, the environment — drill baby drill — and, most of all, he’s vulnerable in the area he says he’s the strongest, the economy. He’s a Jet running for cover because he can’t explain why his plan won’t drive the debt even higher; his reluctance to explain, in detail, what cuts he’ll make to grow the economy, something he repeats constantly, suggests two things: (1) the loopholes will be far greater for the 1%, who will keep more of their income, while payment for this Reaganesque travesty will be paid for by (2) cutting all sorts of programs, from early childhood education, social welfare programs that are, already, barely keeping people afloat, and the dismantling of public education. Thus, Romney’s plan is to be carried by the middle and lower classes in America — beautiful. What was laughable, last night, was that as both men played the Jets and the Sharks facing off, we still remain in the dark with no clear understanding of where we’re going. Romney is slippery: he’ll say anything to appease anyone so as to be able to be on top. Is this how he’ll handle the Tea Party? He lies, this is obvious; nothing makes sense because he’s unsure who he needs to appease. Obama, likewise, doesn’t supply us with much, other then we need to stay the course; however, he doesn’t tell us how he’ll try to address congressional gridlock, for starters, a condition that will be twice as problematic should he win again and the layout of congress remains the same. If Obama traced the Wall Street collapse back to the policies of redlining and Jim Crow, all the way to the betrayed promise of forty acres and a mule for freed slaves, a broad sector of the American public might well be convinced that finally eliminating the structural barriers to full equality is in the interests not just of minorities but of everyone who wants a more stable economy. This has not been Obama’s interest and poor communities of color continue to decline; this, too, is evident in education that, while Romney wants to fast track privatization, Obama’s Race to the Top merely wants to go at the same thing quietly, slowly. Education and health care are one issue, not two; they’re inextricably linked. Without equal access to each, for everyone, we continue to exist in a bifurcated society where some win and some lose. The most significant example of this was last night’s West Side Story face-off in Hempstead, L.I., where, outside of the tight Hofstra University luxury, Blacks continue to spiral downward and the streets are held by central American gangs, the El Sal Salvador MS-13. It’s West Side Story all over again. It’s a circus alright. Only we’re the clowns being taken for a mysterious journey into unknown — but divided — territory. What will the U.S. look like in four years? Where will we be, given that we have such daunting challenges, nationally and internationally? 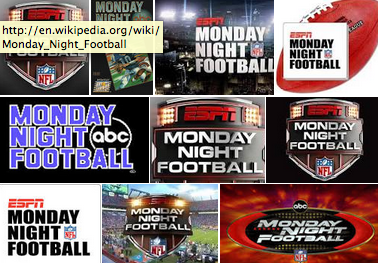 Romney’s Jets live on slogans and Obama’s Sharks attack the same and provide no middle ground, thus no vision. I’m laughing because I can’t cry anymore.